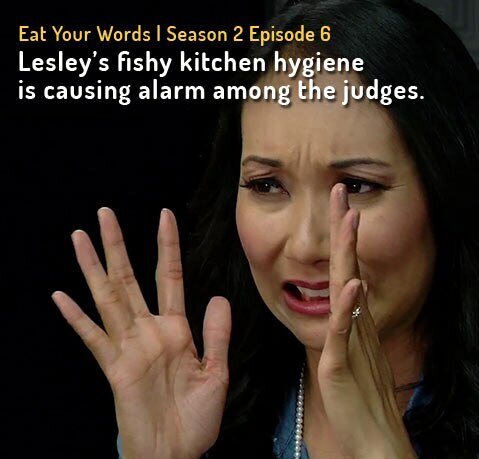 "Eat Your Words" is the reality cooking show that challenges online food critics to cook a dish that they've badly reviewed online. Foodies and self-proclaimed pop culture nerds, Quincy and Justin have been challenged to create ramen in just over one hour. Anti-foodies Lesley and Rich test their kitchen smarts when they are challenged to create the British classic, fish and chips. Picky food bloggers Amy and Tammy are nervous trying to impress an Italian born and raised chef with their own cooking.